* Within the catchment area for Brookfield Community School. 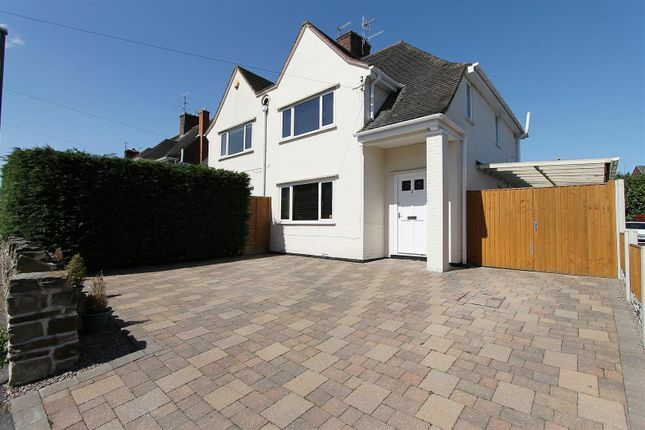 This stunning three Bedroomed Semi Detached House offers 870 Sq. Ft. Of superbly presented and neutrally decorated accommodation which includes a fantastic Open Plan Dining Kitchen and Re-fitted Bathroom. * With a delightful plot which includes an enclosed landscaped rear garden, this is an ideal family home. * Located in this sought after residential area which is convenient for the amenities in Brampton, just 1.4 miles from the Town Centre. * Outside: There is a block paved driveway to the front with side gate leading to a covered Car Port. The enclosed rear garden comprises a pebbled sitting area, Indian Sandstone patio and lawned garden. Gross internal floor area - 80.9 sq.m./870 sq.ft. With laminate flooring and uPVC double glazed sliding patio doors giving access to and overlooking the lovely rear garden. A delightful double room with a rear facing window overlooking the garden. A generous double bedroom with a front facing window and a built-in storage cupboard. A lovely side facing small single room which is ideal as a nursery with a high level storage shelf and seat fitted to the stair bulk head. To the front there is a walled block paved driveway and parking area. A gate to the side gives access to a covered Car Port. Beyond the Car Port and to the rear is a pebbled sitting area and Summer House (which is available by separate negotiation). There is also an Indian sandstone patio and a generous lawned garden. The garden is all enclosed making it ideal for a young family.